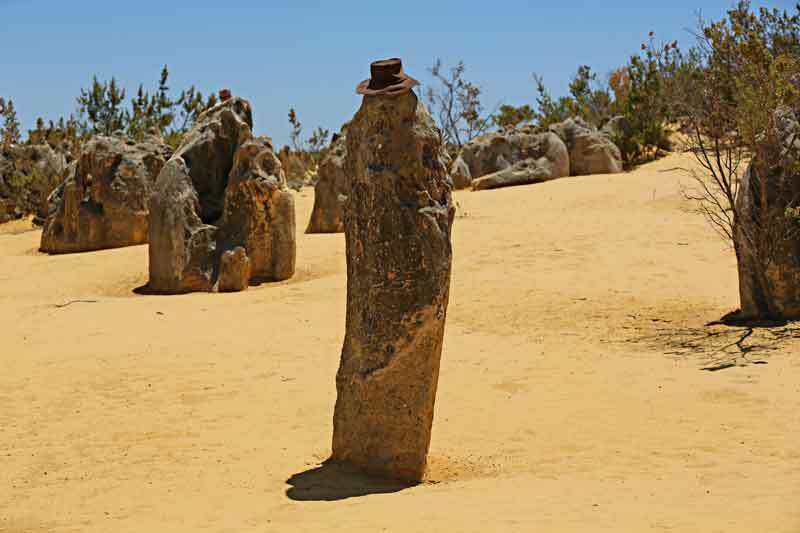 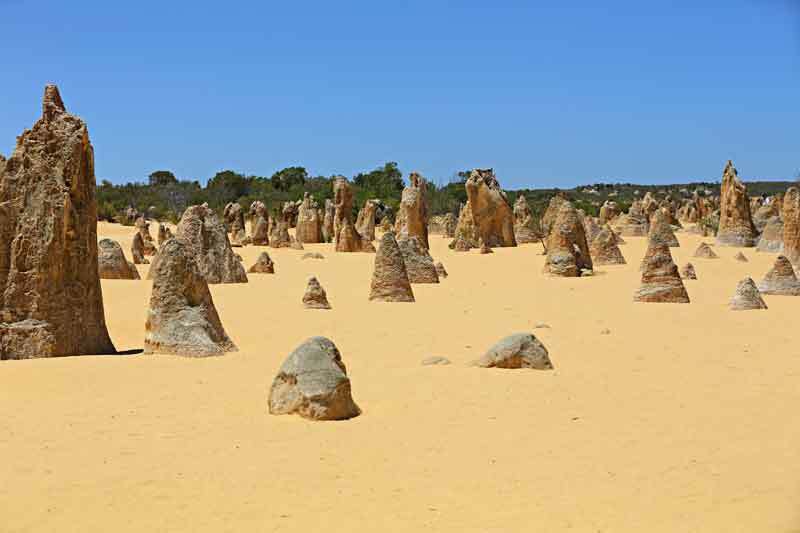 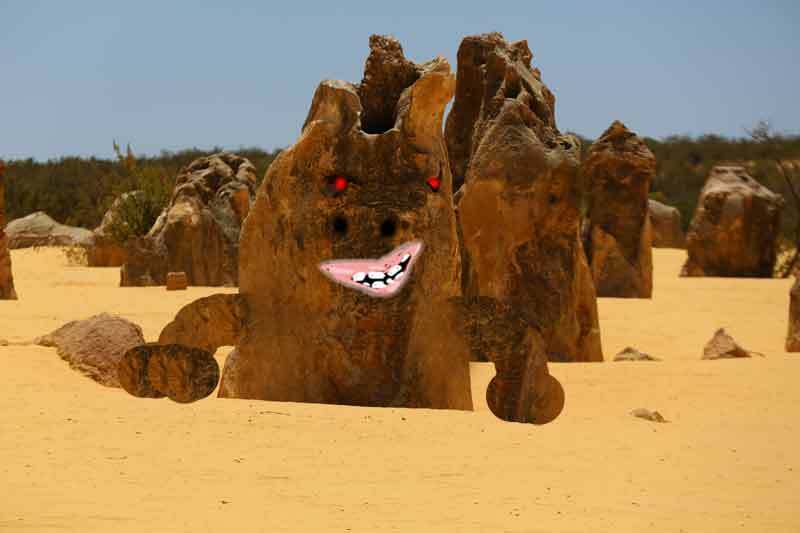 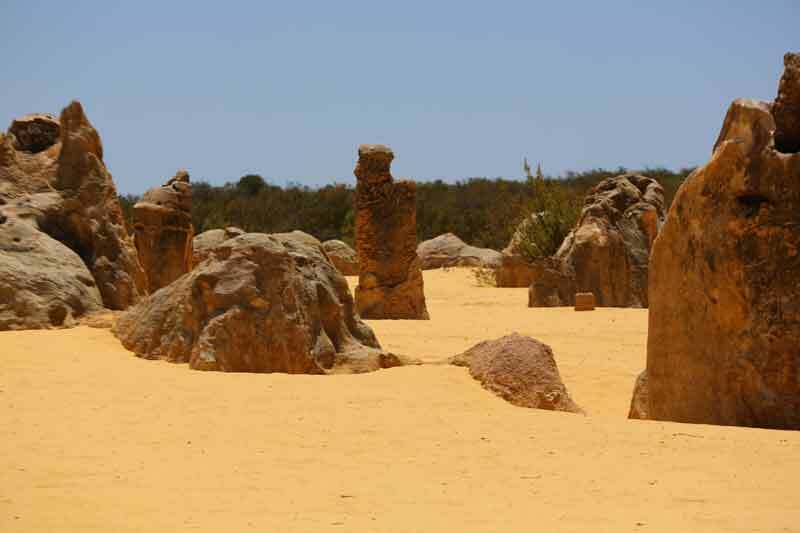 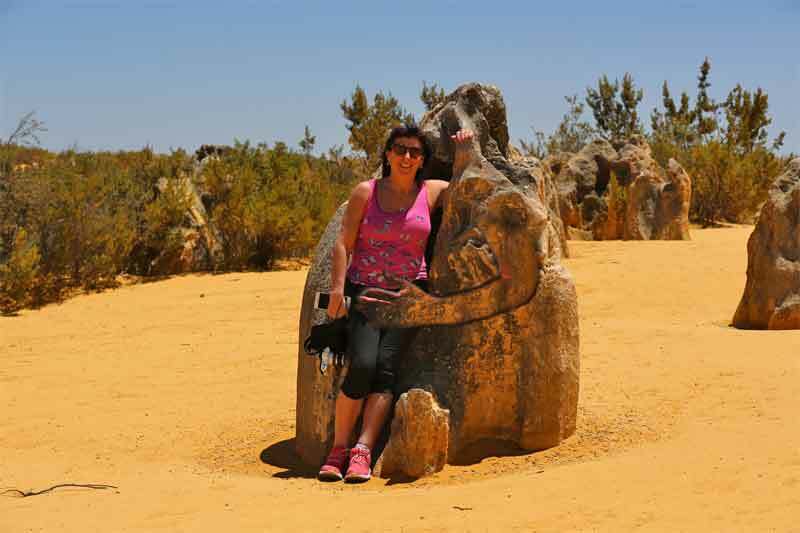 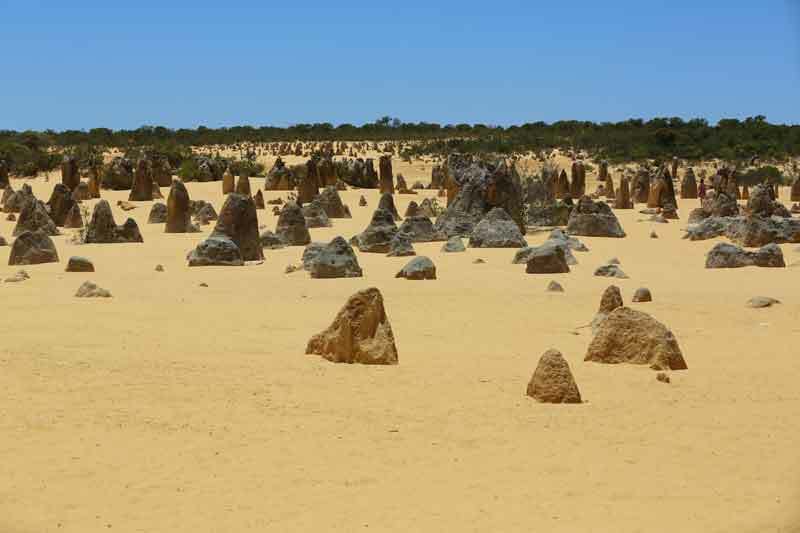 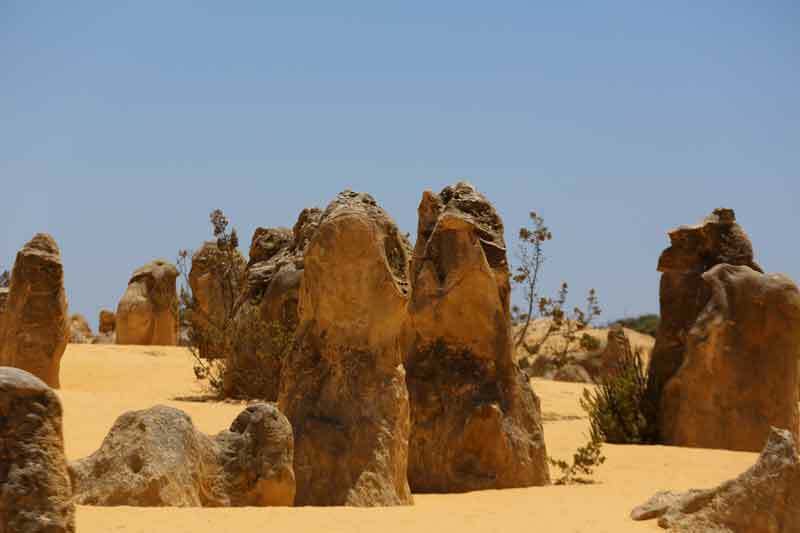 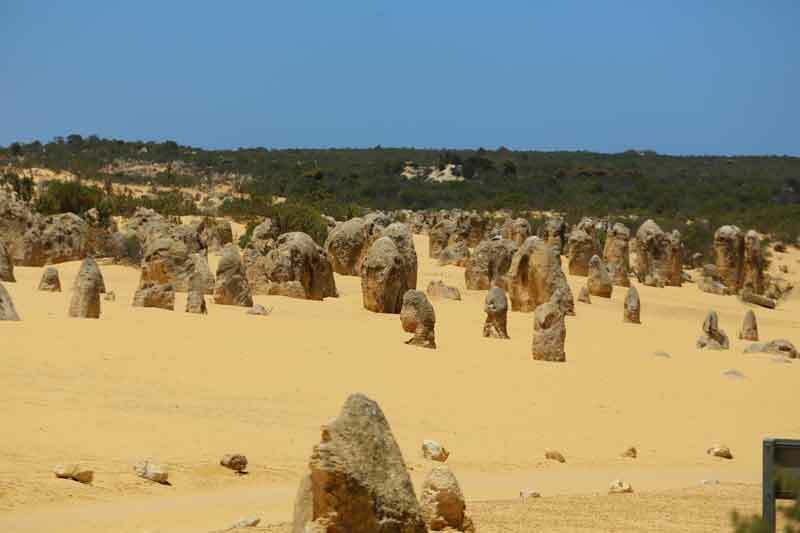 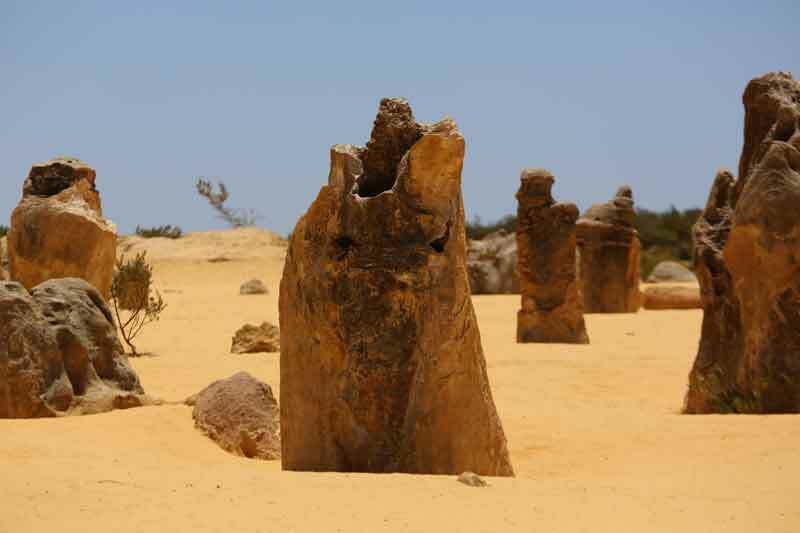 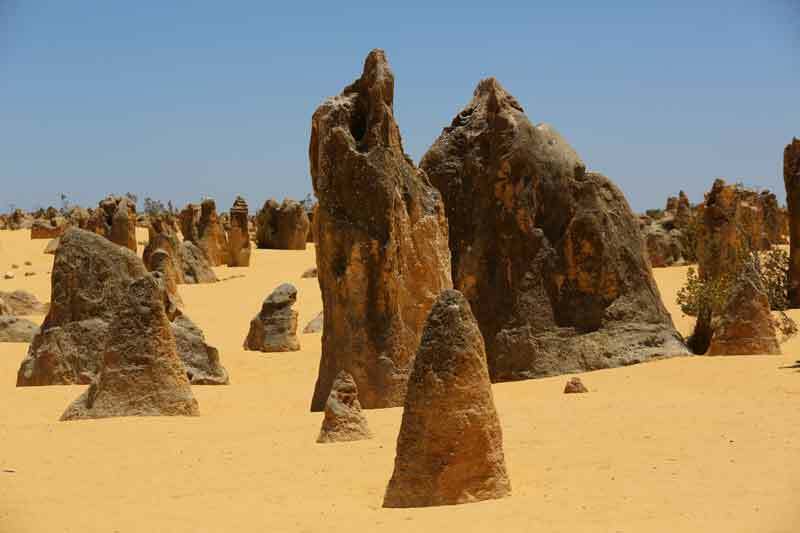 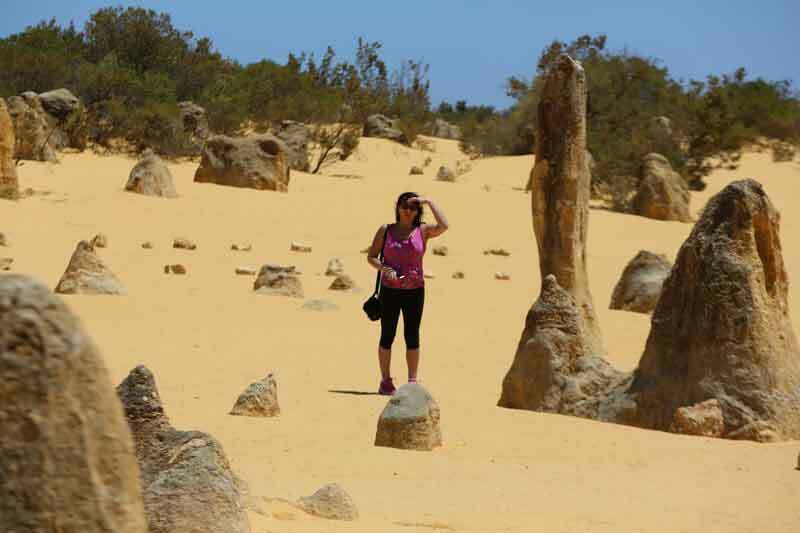 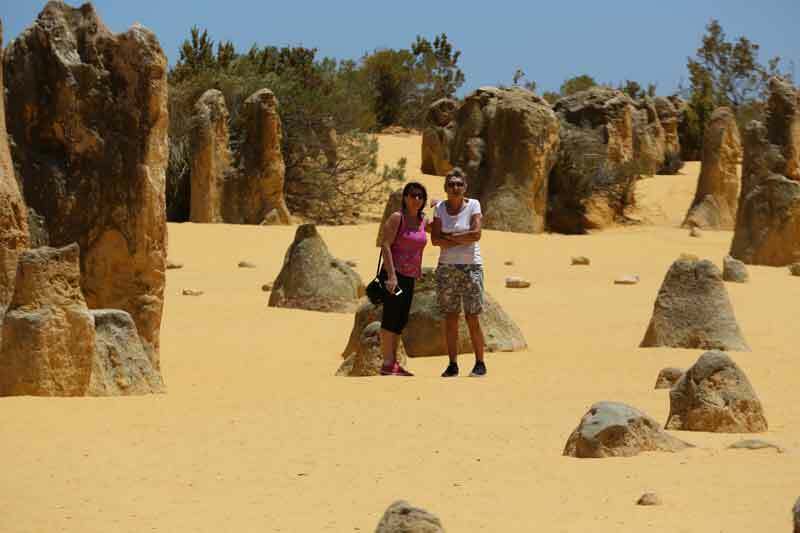 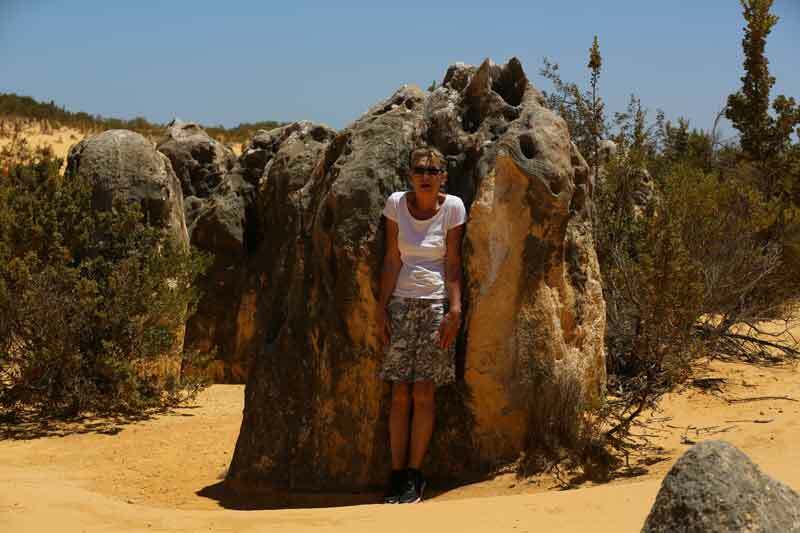 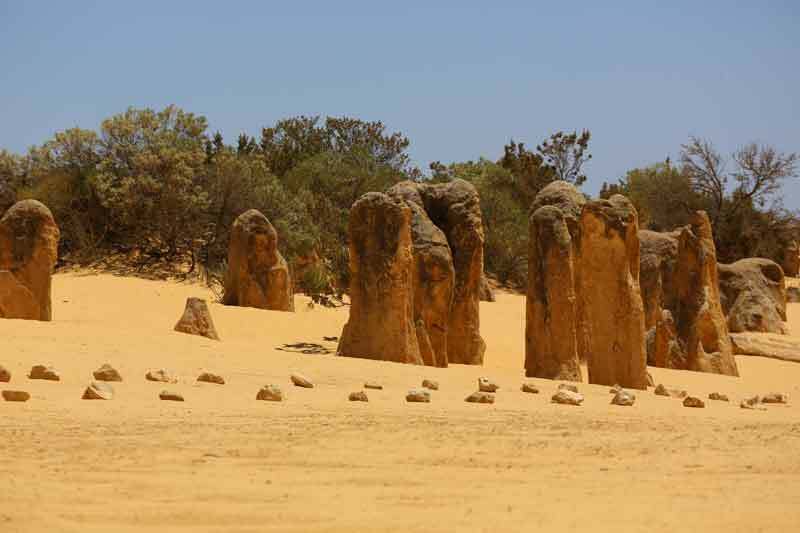 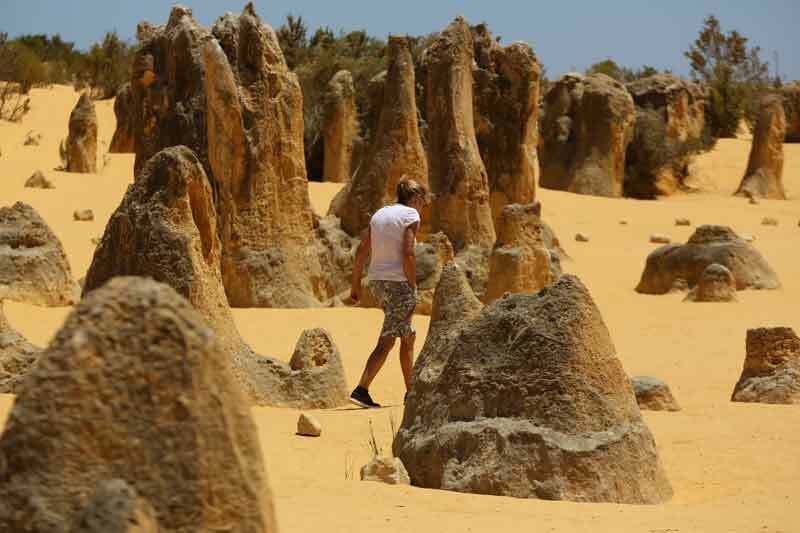 The Pinnacles are limestone formations contained within Nambung National Park WA. 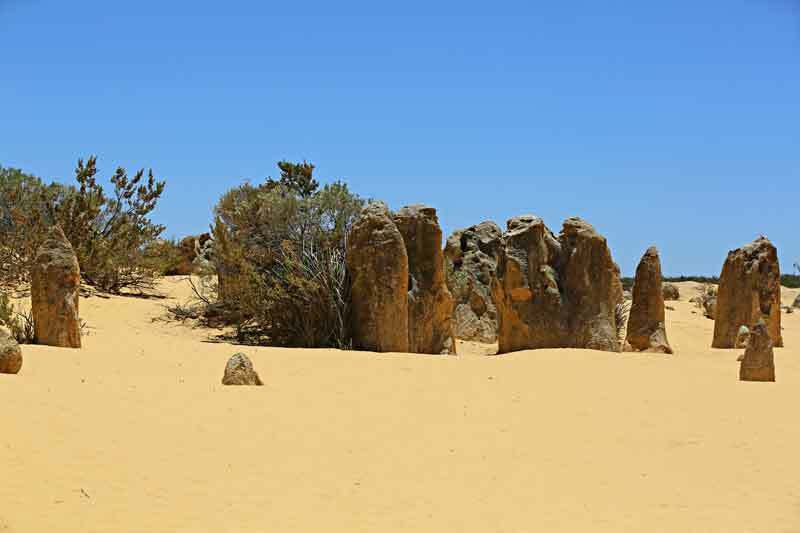 About 180 km north of Perth, within Nambung National Park WA, is Pinnacles Desert tourist destination for over 300 000 visitors. 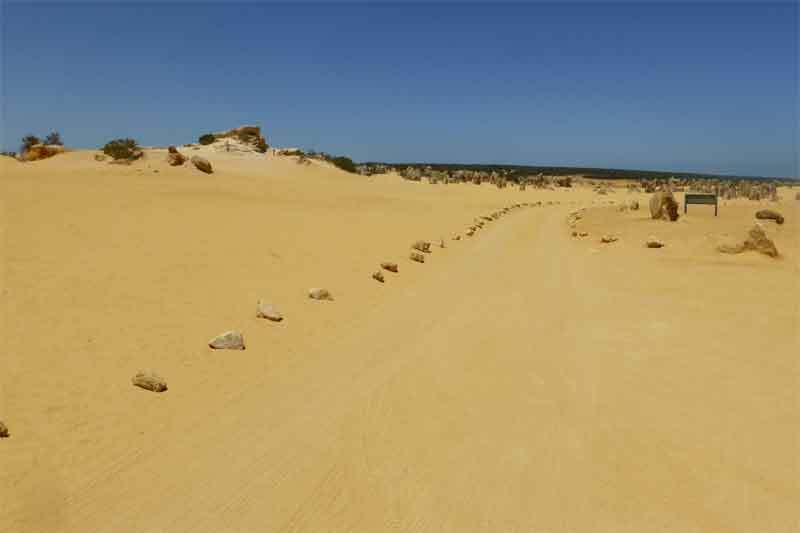 On the way to Pinnacles you will pass few very nice places: first will be Moore River (Guilderton), next stop I recommend at Seabird with excellent coast wonderful beaches, Ledge point great caravan park, fishing and swimming, and Lancelin with sand dunes, great sand boarding, four-wheel driving, beach buggies or quads. 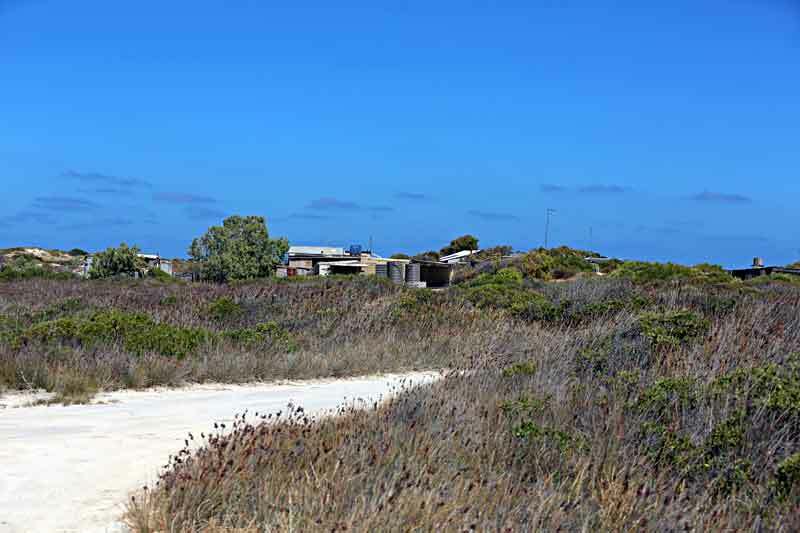 Further on you will pass couple of crayfisherman villages Wedge Island and Grey; both places are excellent for fishing, swimming and any other water sports. 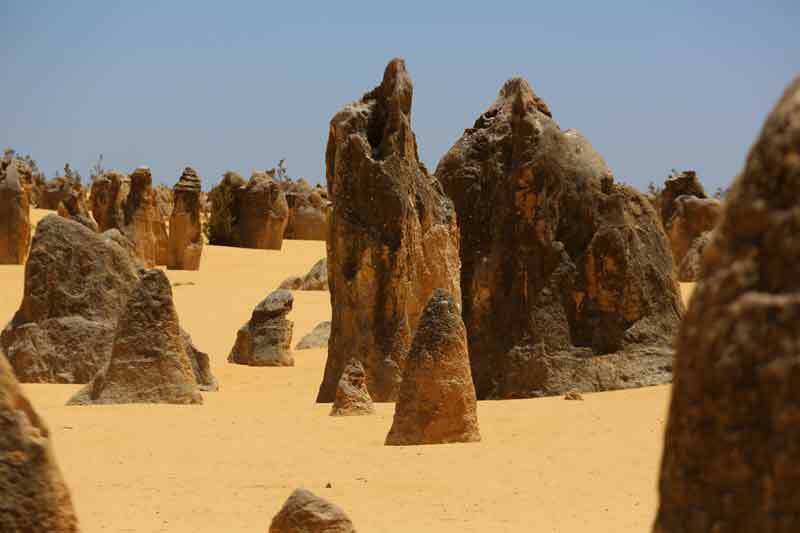 Pinnacles are next. 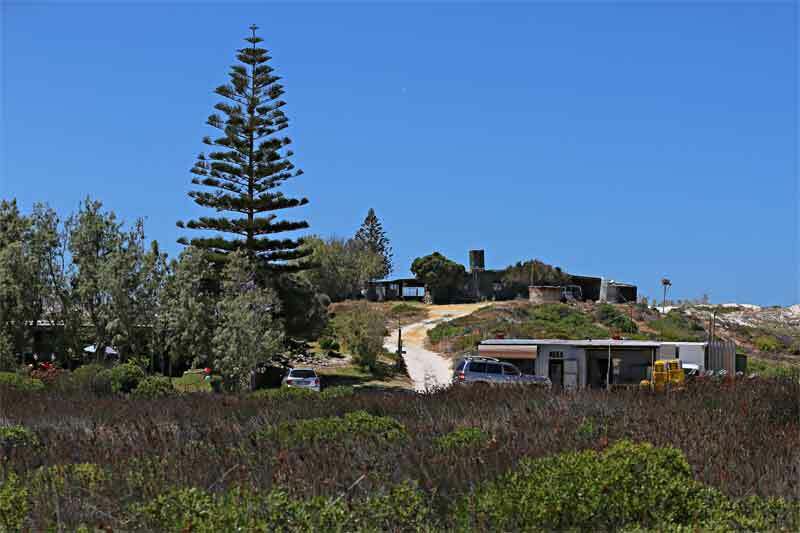 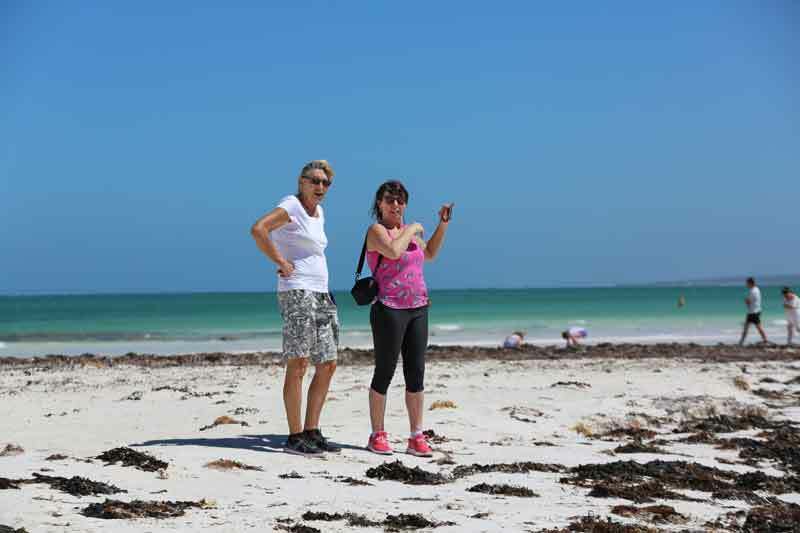 If you are looking for accommodation try Bayswater bed & breakfast give them a call Ph:(08) 9272 4604 Mobile 0402370004. 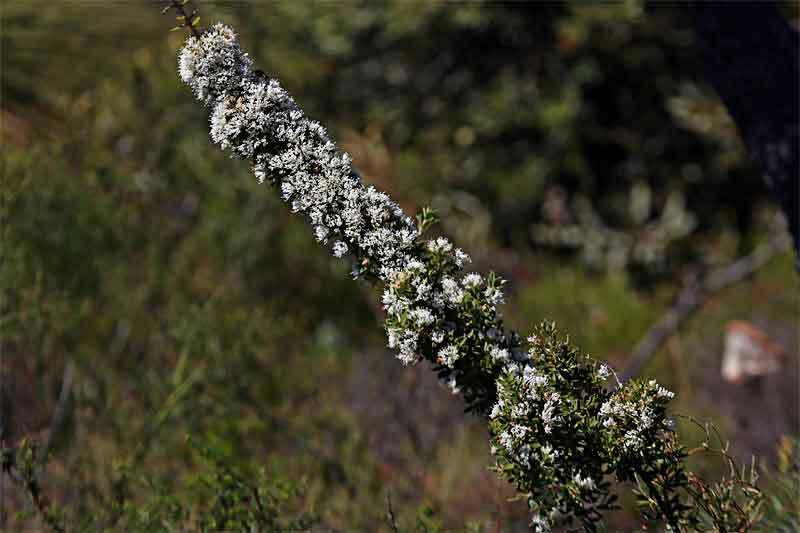 Click on small image to enlarge. 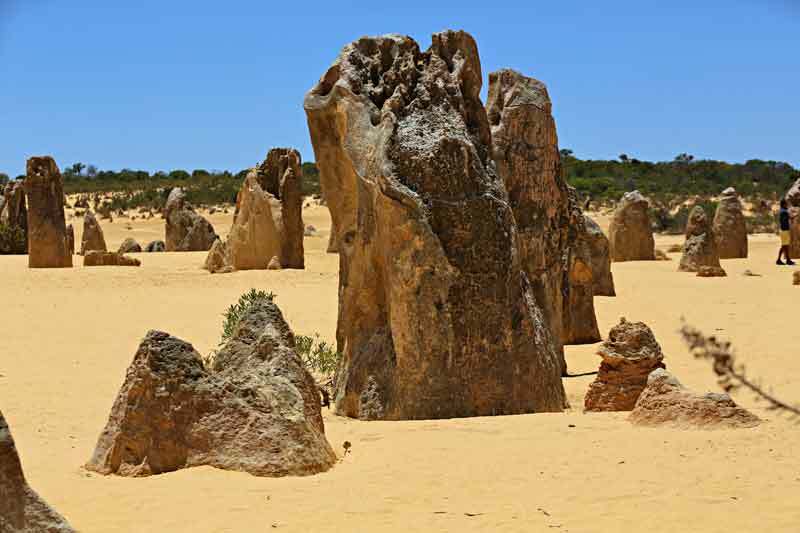 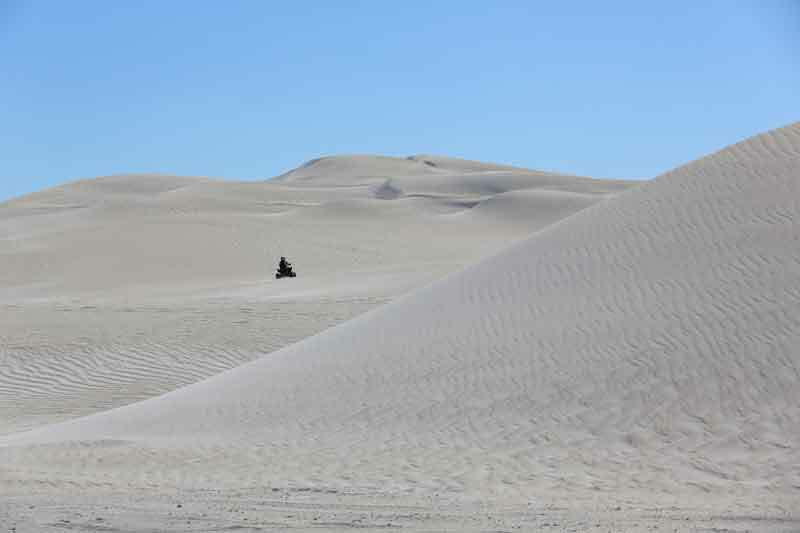 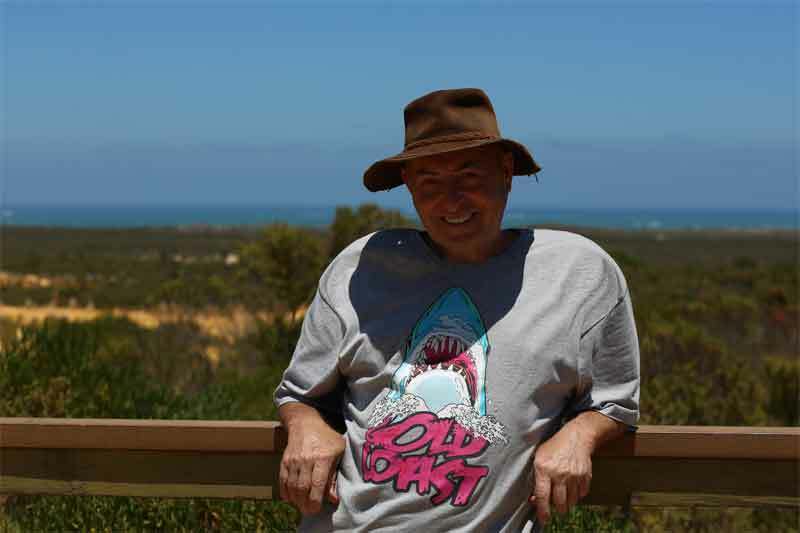 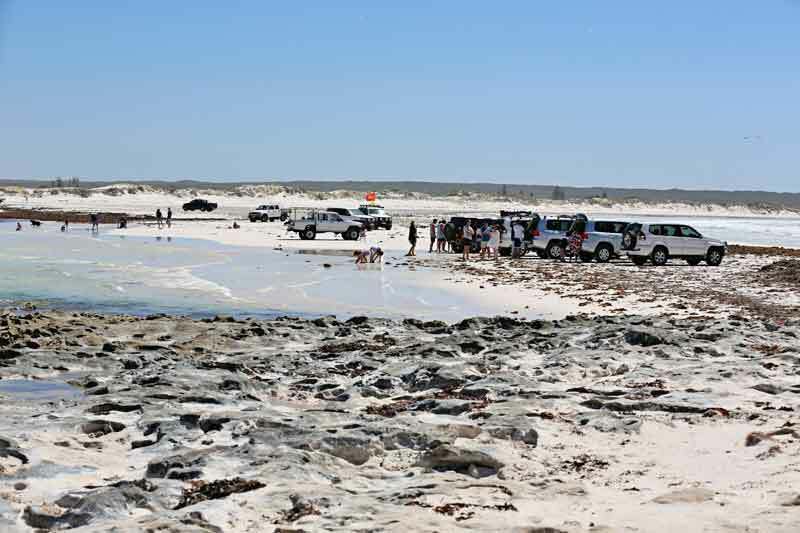 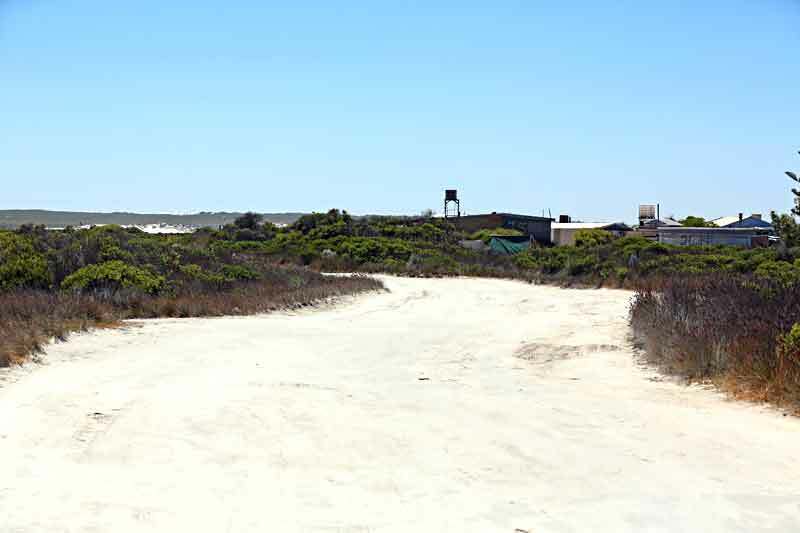 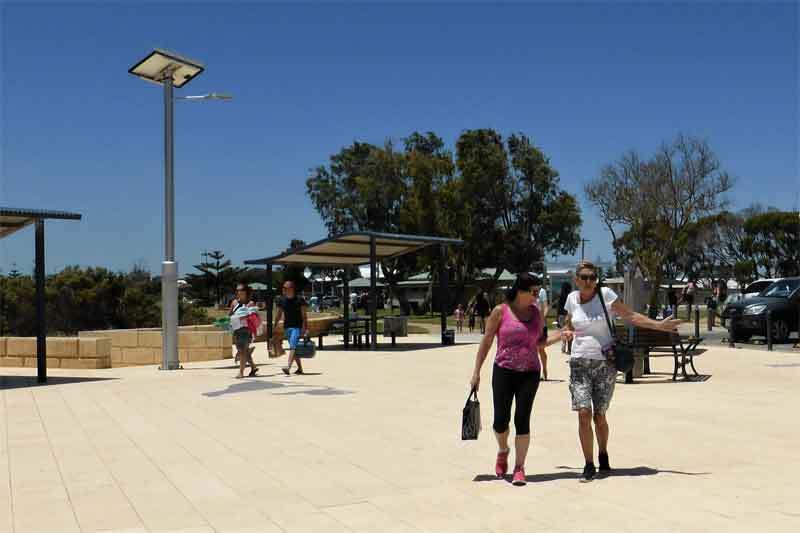 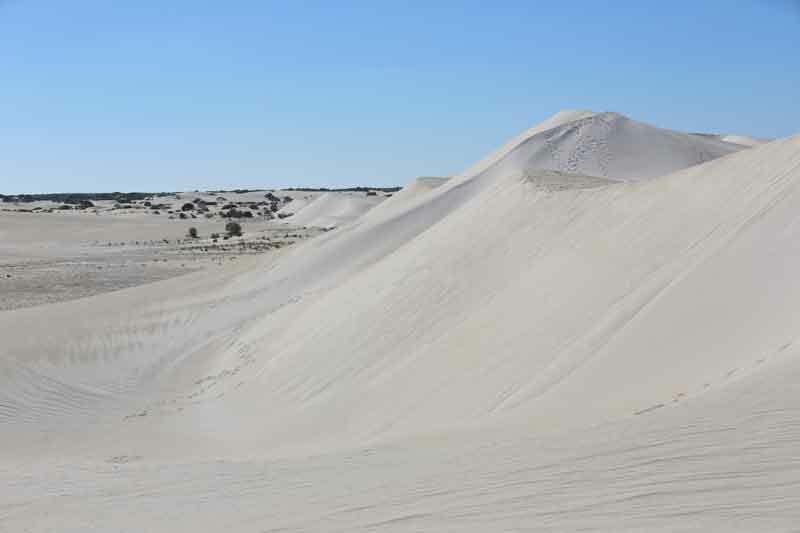 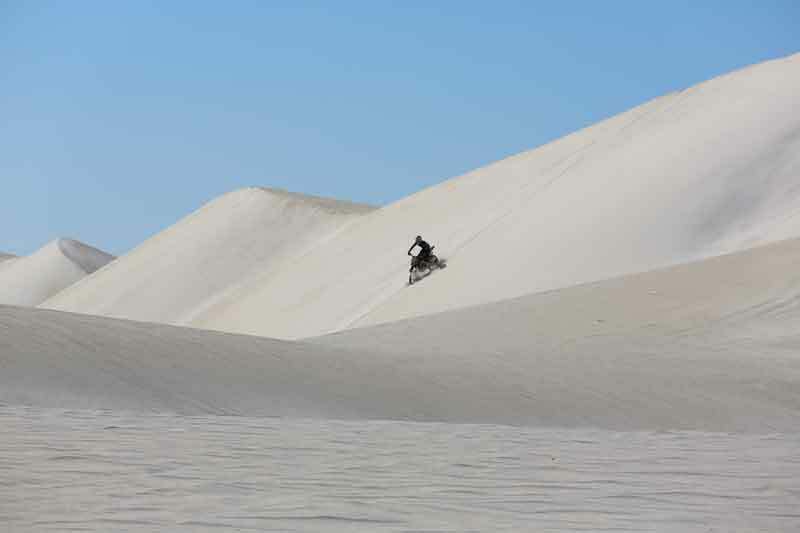 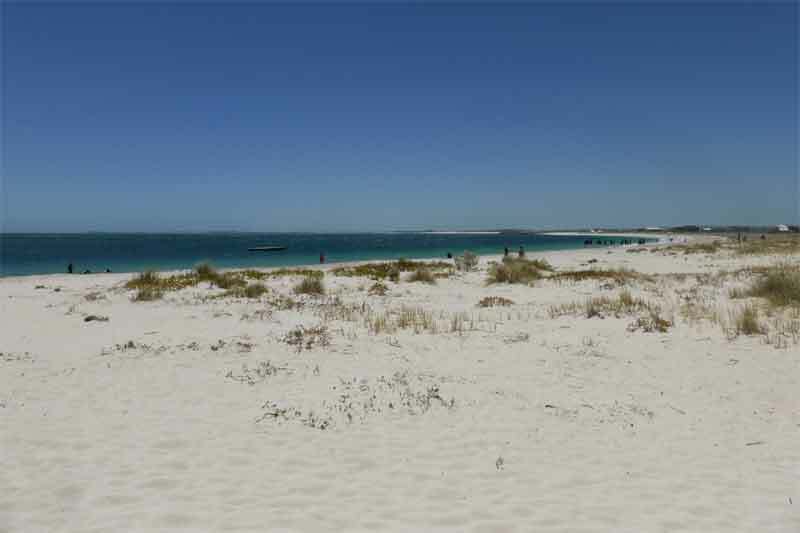 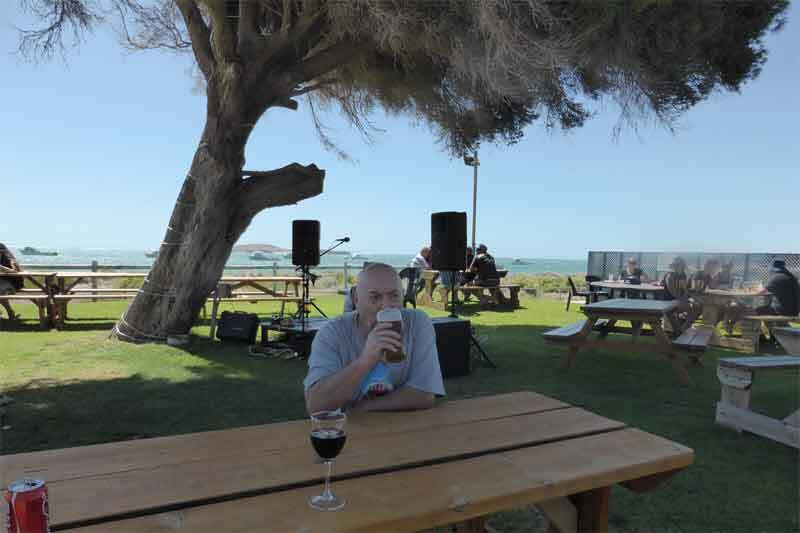 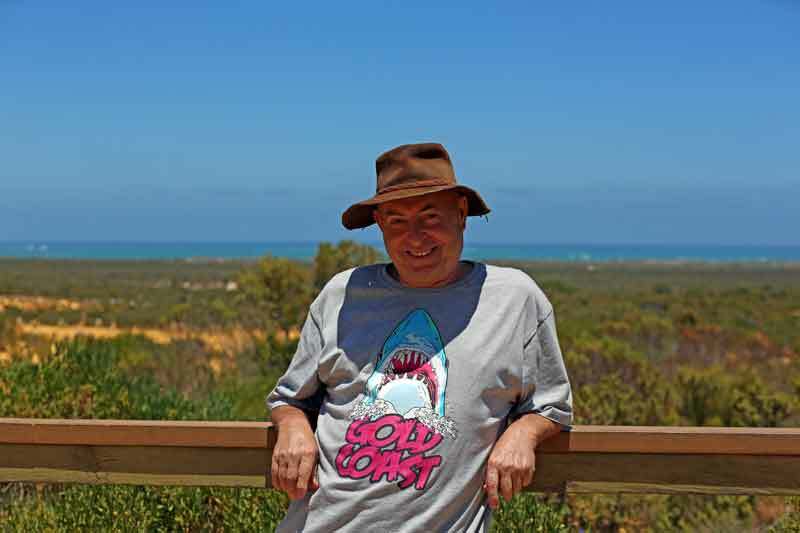 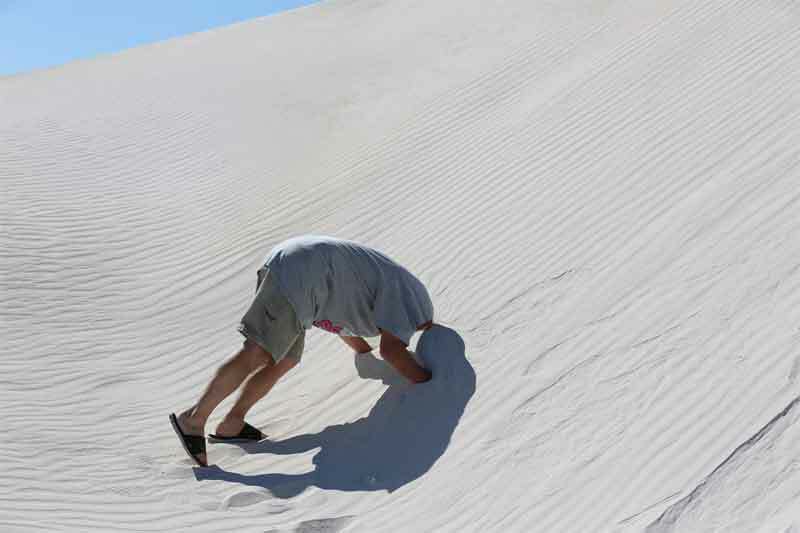 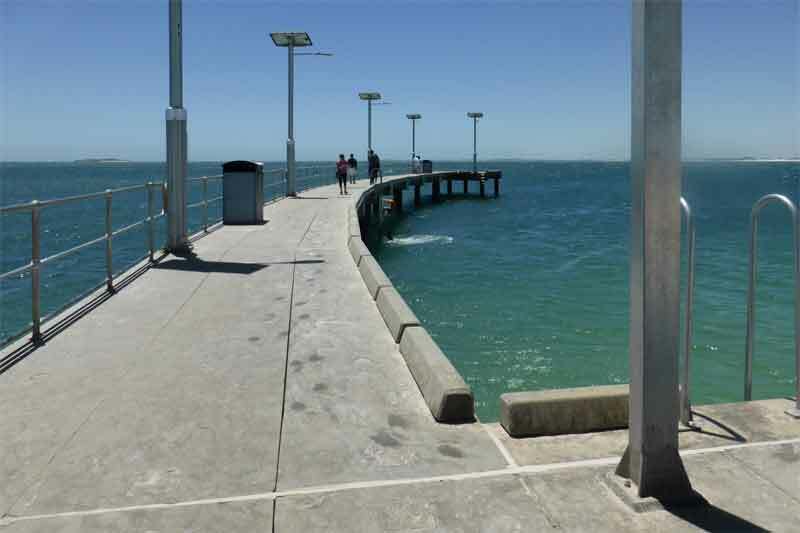 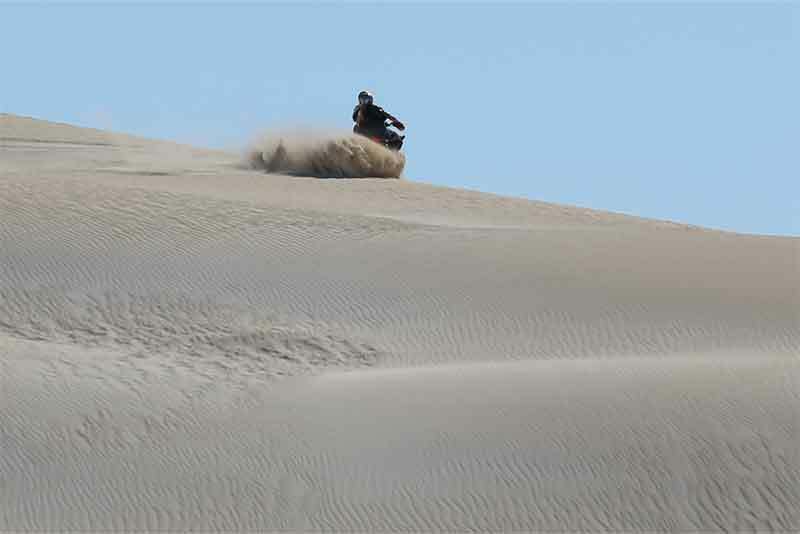 Sand dunes at Lancelin, shacks at Wedge Island and Grey, fishing, birds and animals you can see around Pinnacles Desert. 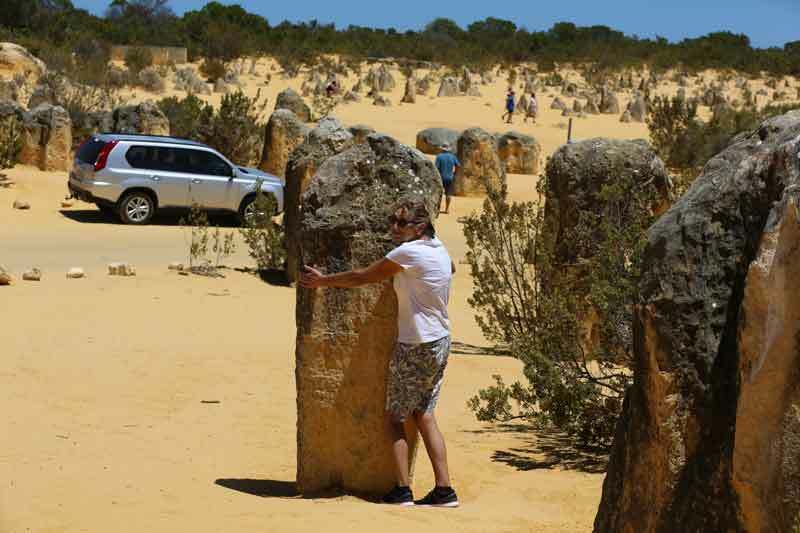 Don't rush stop in some of those places, have fun. 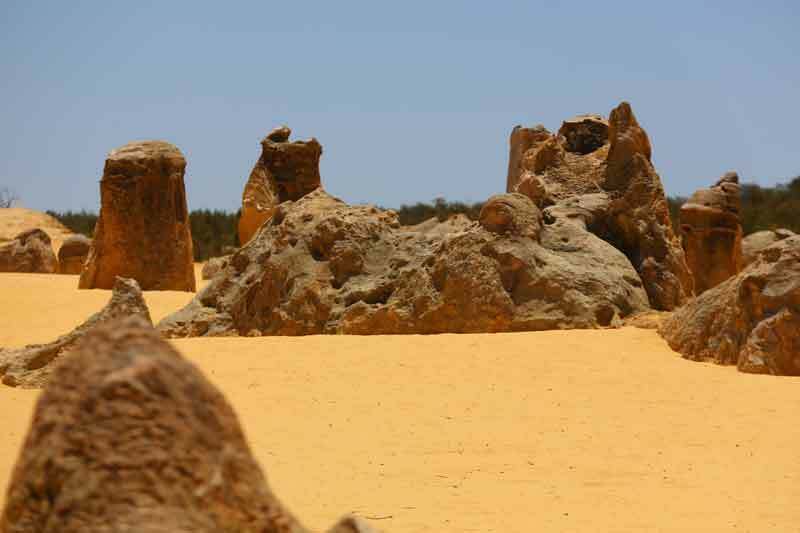 If you are the driver watch for emus. 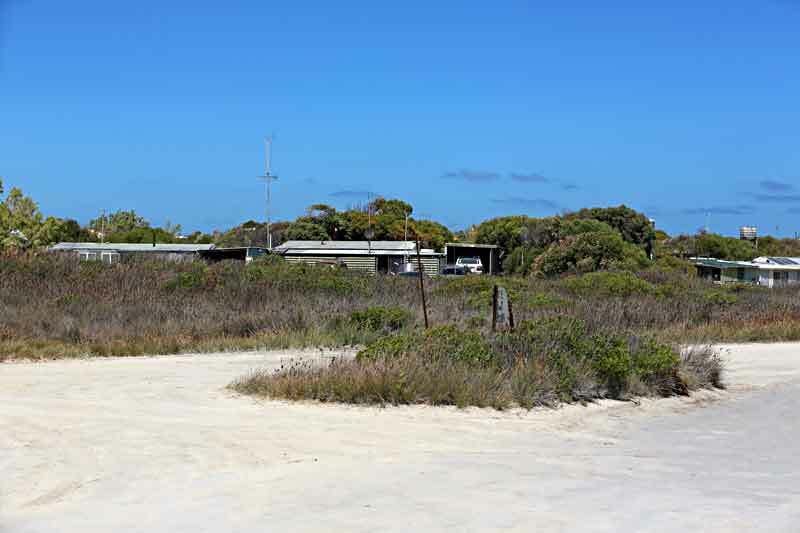 The emus love to cross the road just in front of you. 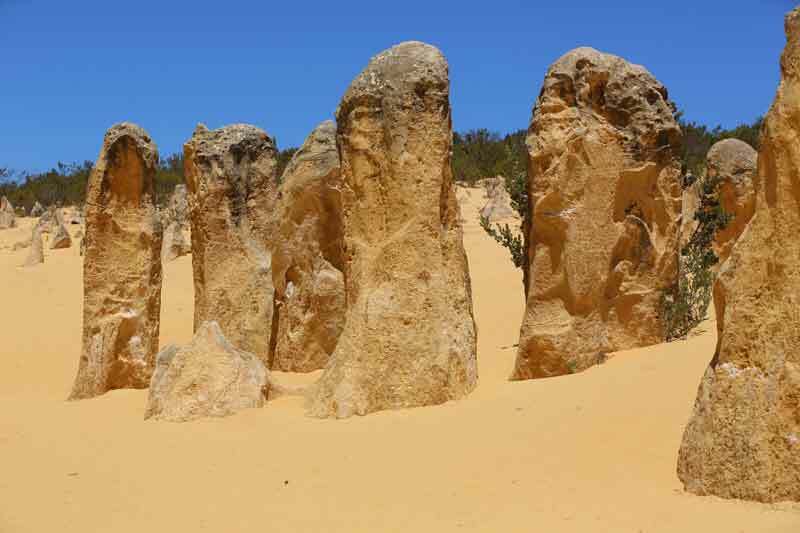 The Pinnacles with countless limestone pillars rising out of the bright yellow sand up to 4m tall form the Pinnacles Desert. 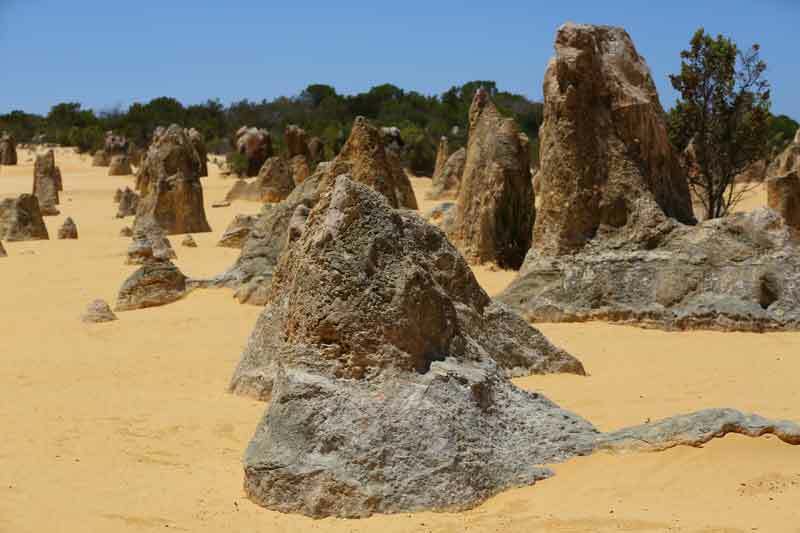 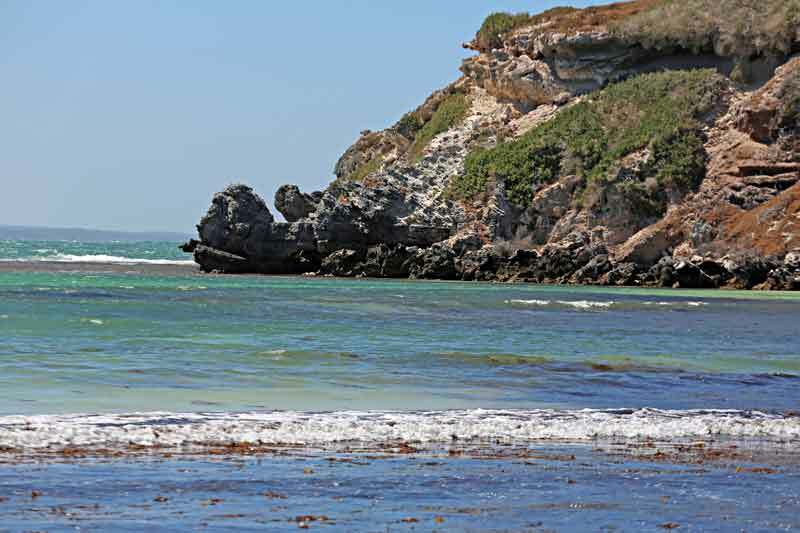 The raw material for the limestone of the Pinnacles came from seashells in an earlier epoch rich in marine life. 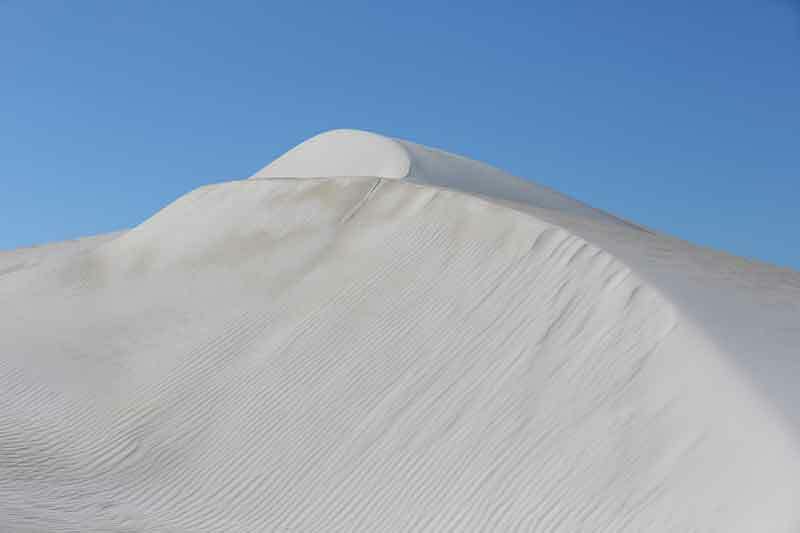 These shells were broken down into lime rich sands which were blown inland to form high mobile dunes, this area consistently exceeds the expectations of first time visitors. 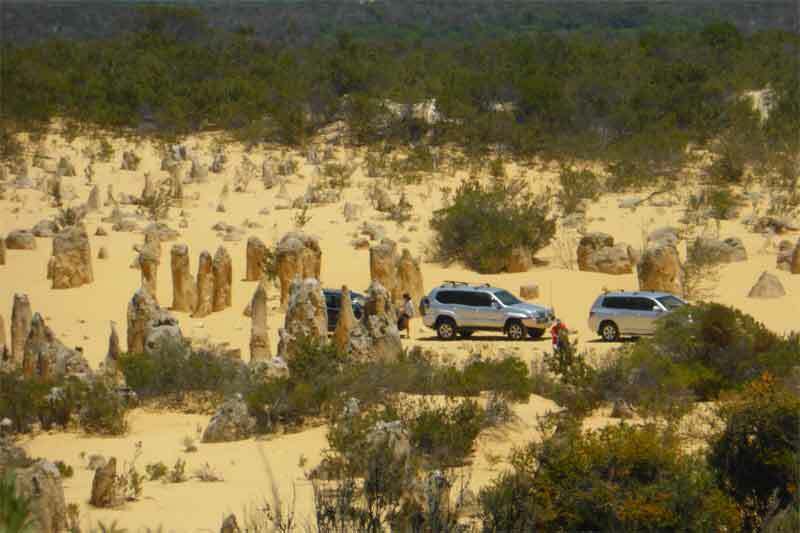 The moonscape scenery is a favourite subject for photographers. 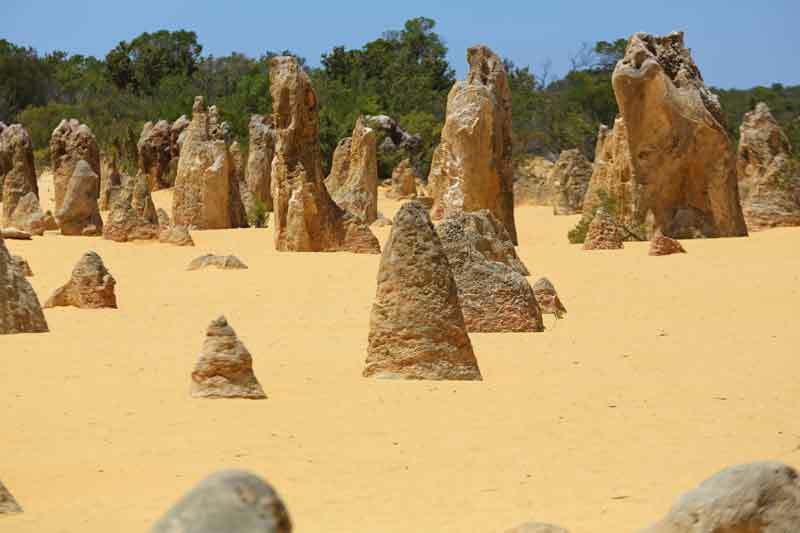 The limestone formations of the Pinnacles vary in size and shape. 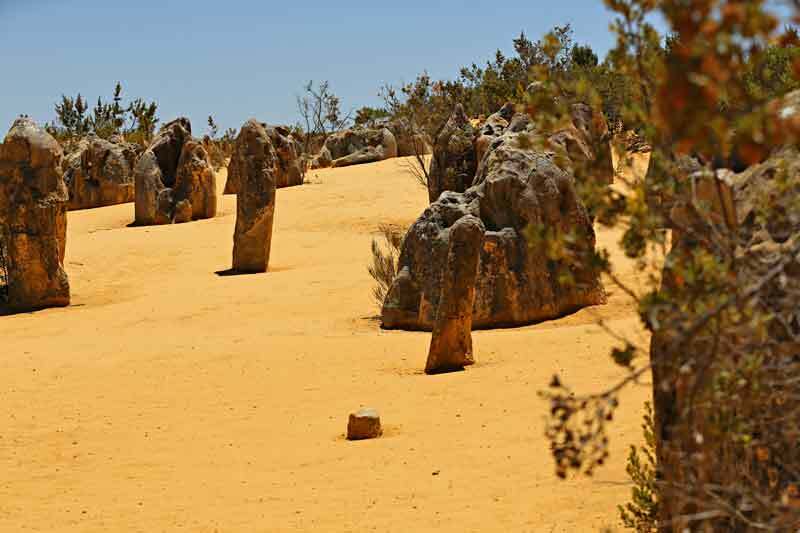 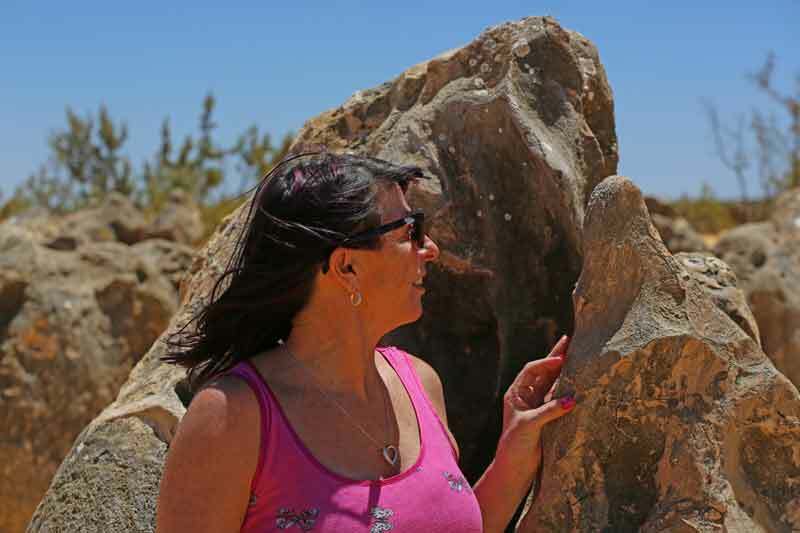 These unusually shaped rocks have been likened to tombstones, termite mounds and even fingers. 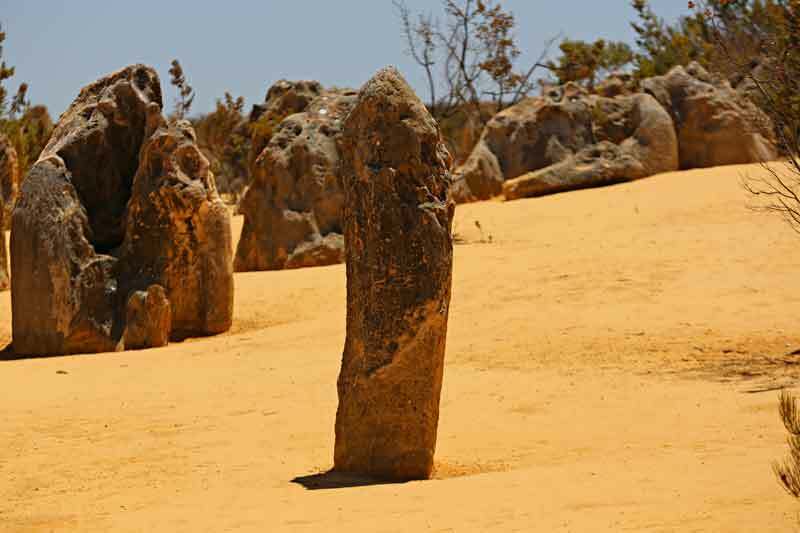 The Pinnacles Desert is best seen at dawn or dusk when they cast long, strange shadows over the rippling yellow sand dunes. 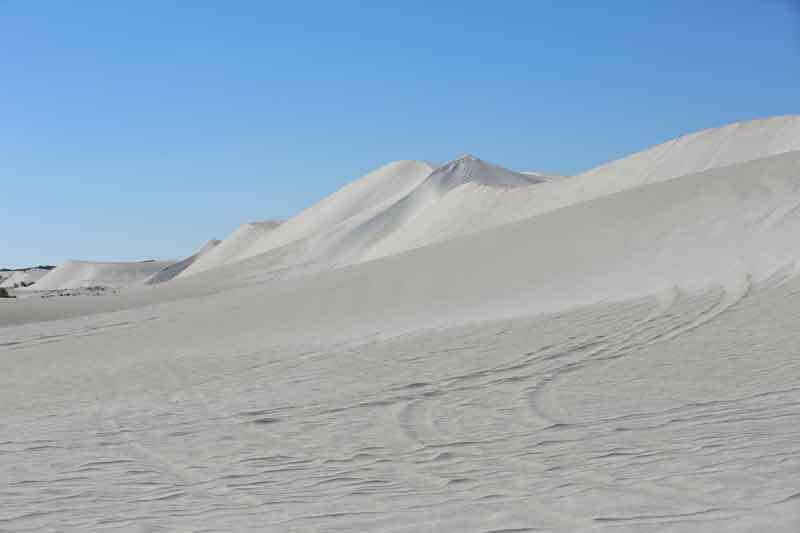 Although the desert teems with wildlife, most animals are nocturnal. 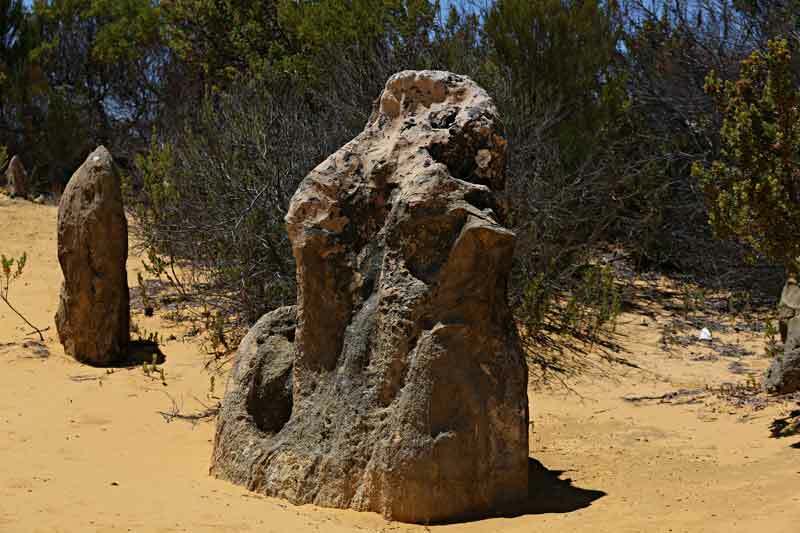 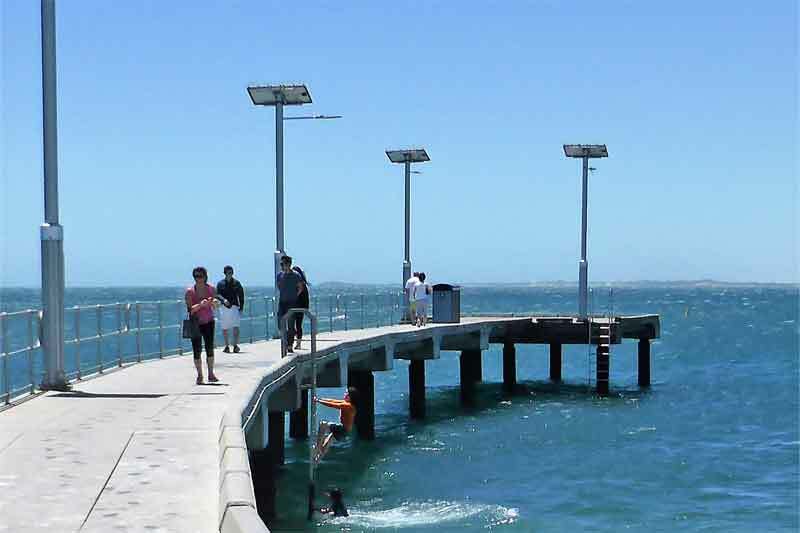 However, it is not uncommon to see western grey kangaroos, emus and many sorts of reptiles and birds like black-shouldered kites, cockatoos, and many other birds hanging around the strange stones. 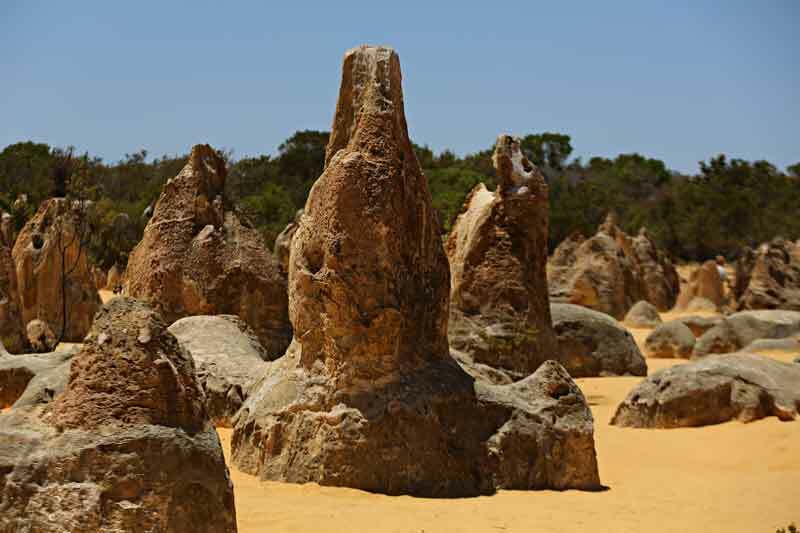 The best time to see the Pinnacles, I think will be in the spring just after winter rains, when all trees and Shrubs flowering, wildflowers are popping up everywhere.